By capturing both heat and electricity this panel captures four times more energy than a standard solar panel. 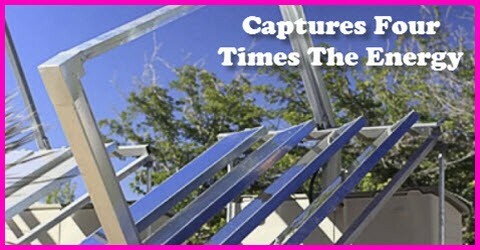 This New Mexico company – Focused Sun of Las Cruces, New Mexico, USA has an inexpensive solar module that captures four times more energy than a conventional solar panel of the same size. 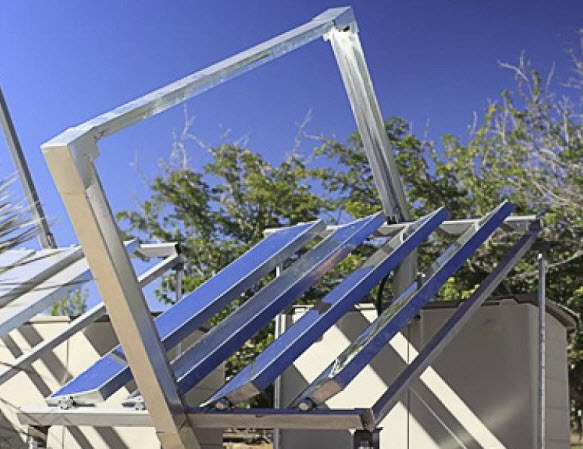 They call their solar module Fold Four and it produces both hot water and electricity. They say this inexpensive solar panel can pay for itself in as little as two years. A FourFold covers most of modern energy needs: its electricity powers lights, refrigerators and air cooling, while its heat can warm a home or drive boilers. In the developing world, the module is needed in village clinics where it can sterilize water and refrigerate vaccines. The fabrication technology to make FourFold solar modules in small local factories can be licensed from Focused Sun. A town as small as 5,000 can support a solar factory. These aren’t short term jobs: most towns and small cities will take decades to solarize. Costs of the module’s collector are similar to a same-sized conventional PV panel because sandwich fabrication is used for the module’s mirrors. Sandwich fabrication is the most efficient structure for resisting the wind, the highest force a solar panel must withstand. Get more details in the original article.